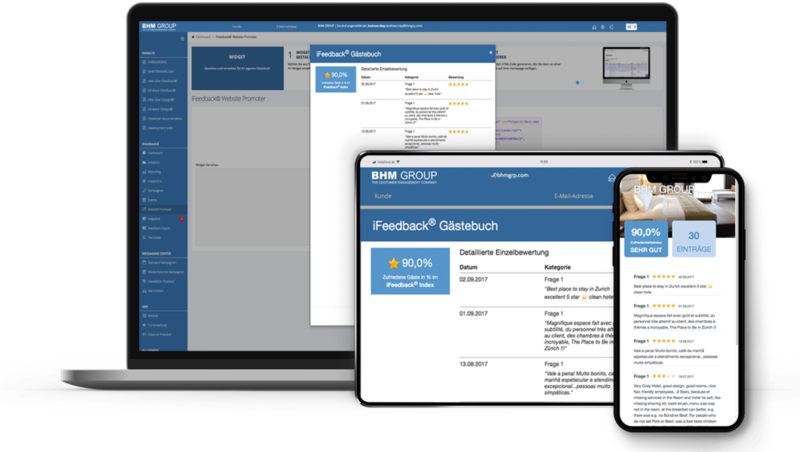 With the new iFEEDBACK® Widget you can present the enthusiasm of your customers directly on your homepage: By pre-selecting particularly positive comments in your reporting system, you can create your own individual guestbook for customers. The best marketing, is and remains the Recommendations of the people around us. Proportion of customers influenced by customer opinions. Percentage of customers who inform themselves about customer opinions beforehand on your homepage. Increase the likelihood of purchase through customer feedback and evaluations. Benefit in just a few steps. 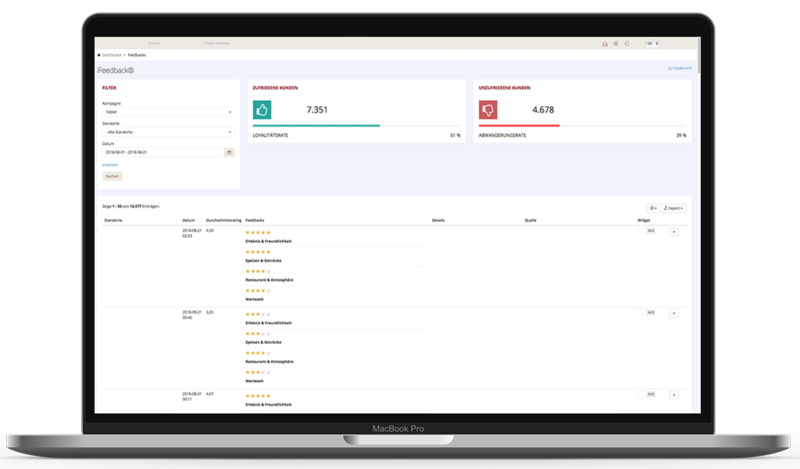 With iFEEDBACK® you can make your ratings visible to others in just a few minutes. In the iFEEDBACK® administration you can choose a version of the widget and get an HTML code. Look for a very present position on your homepage and integrate the HTML code there. Log into your iFEEDBACK® Reporting and select the customer feedback you want to present. Then show your outstanding satisfaction index with our widget also on your homepage. So that you can easily integrate your widget on your homepage, we will send you a code snippet for integration, we will be happy to do it for you. Choose from all comments exactly those you want to present to your customers and create an informative and clear guestbook. With your guestbook you can show new customers not only that previous customers were enthusiastic, but also why they were enthusiastic. You want a high presence for your individual guestbook? Then you can integrate your widget directly on your landing page to convince your customers. Display particularly positive ratings on different areas fully and in detail to give your customers an insight into real experiences.